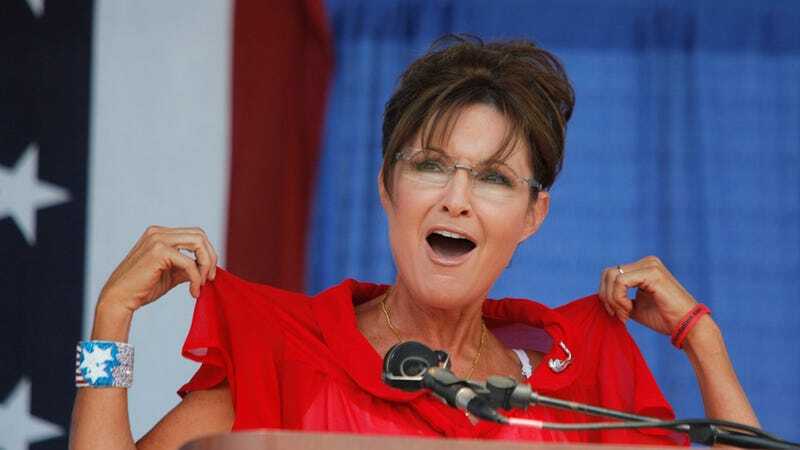 "As you all know, I'm not a big fan of newspapers, journalists, news anchors and the liberal media in general," Palin said. "But I met with the folks at Al-JaJizzraa (sic) and they told me they reach millions of devoutly religious people who don't watch CBS or CNN. That tells me they don't have a liberal bias." Except — whoops — the quote was mistakenly pulled from parody news site The Daily Currant. To be fair, we are all human beings — except for you, sizable cat readership — who occasionally make mistakes, misread things or fail to pick up on a joke, but, still, you'd think the fact that they were talking about Sarah Palin — queen of jingoism and xenophobia — joining up with a Qatar-based news site would have alerted the Post that something was a tad off.